Are you planning a move to Portugal? If so, this guide will tell you everything you need to know about becoming a resident of the country. 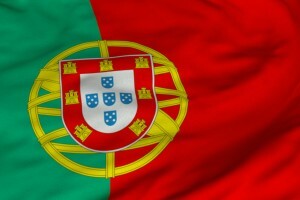 Portugal is in the European Union (EU), meaning that if you are an EU citizen, it is your right to move there. But like most EU countries, Portugal has some of its own rules that all new arrivals must follow. The first thing you will need is a fiscal number, or a Número de Identificação Fiscal (NIF), sometimes known as a Número de Contribuinte. You will need this to complete most bureaucratic tasks in Portugal, such as buying a home. You will also require a fiscal number for setting up phone lines or an internet connection. Note that you can get a fiscal number as a non-resident. This is a fairly simple task: You will need to visit your local Financas department with a form of identification, such as a passport. If you obtain a fiscal number while living in the country, you will also need a proof of address. Processing the fiscal number costs less than €10 and it is usually provided on the spot. Sometimes, issues arise if someone has previously opened a Portuguese bank account from a UK branch of a Portuguese bank. In these cases, banks can occasionally generate temporary fiscal numbers to open the account, which must be cancelled before the real fiscal number can be given. The process of becoming a Portuguese resident depends on whether you are an EU citizen or come from outside the EU. If you are a non-EU citizen, you must visit the Serviço de Estrangeiros e Fronteiras (SEF) and specific requirements will vary depending on your country of origin. If you are an EU citizen, initial residency is dealt with by your local town hall, or camera. The document you need is a Certificado de registo de cidadao da uniao Europeia – this registers your long-term presence in Portugal. This certificate typically lasts for five years and you will need identification, proof of address, your fiscal number and declare that you are financially independent when you visit the camera. Most cases are simple, but town halls can request additional documentation, including bank statements, employment contracts and proof of private health insurance. After the initial five-year registration certificate, you can visit your local SEF office and request permanent residency. Some expats will skip by these steps and essentially remain under the radar. However, the Portuguese government can fine you for not following the residency process. They are increasingly cracking down on those that don’t stick to the rules, so follow the steps above! Also, remember to protect yourself and your investment with expat property insurance. This entry was posted in Expats and tagged EU, Expats, Portugal, residency. Bookmark the permalink.